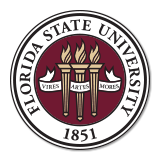 FSU has implemented a centralized application system for all FSU Foundation scholarships – FS4U. This system offers students a streamlined approach for applying to and monitoring the scholarship process. Each student who wishes to be considered for an FSU Foundation scholarship must complete the General Application (see instructions below). After completing the General Application, the system will automatically apply students to scholarships that they match to based on their student information (e.g., GPA, major, etc.). Students will also be directed to other scholarships for which they may be eligible. You can apply to any of these recommended scholarships and will be required to submit additional information for each. Students can access the system at https://fsu.academicworks.com/. If you have any questions, please contact Carrie Melendez at cmelendez@fsu.edu.